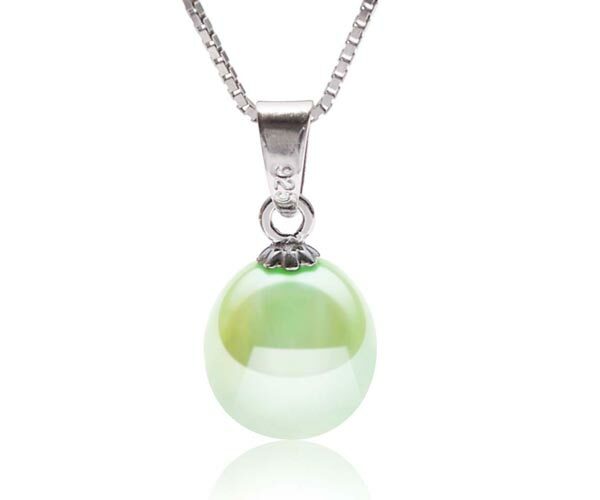 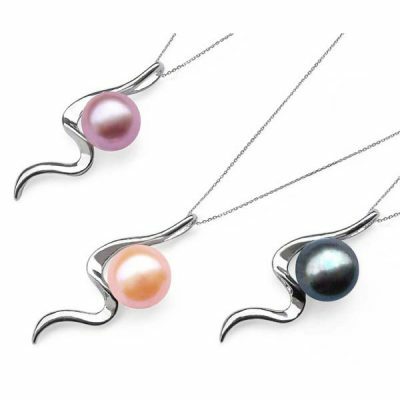 A very high AAA quality 8-9mm cultured teardrop pearl is set in this sterling silver pendant. 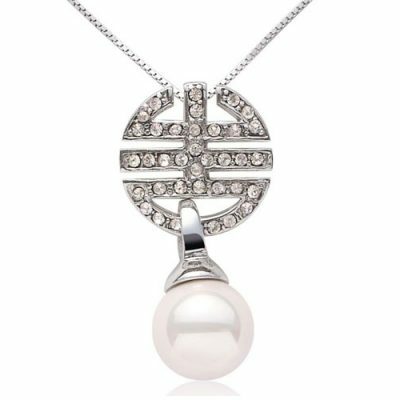 Very simple and subtle but absolutely beautiful. The large loop can accommodate most sizes of chains. 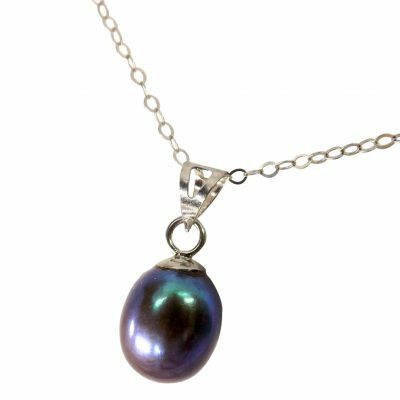 This pendant does not come with a chain, but you can click here to add an adjustable (16″-17.5″ long) sterling silver box chain for a complete real pearl and silver necklace. 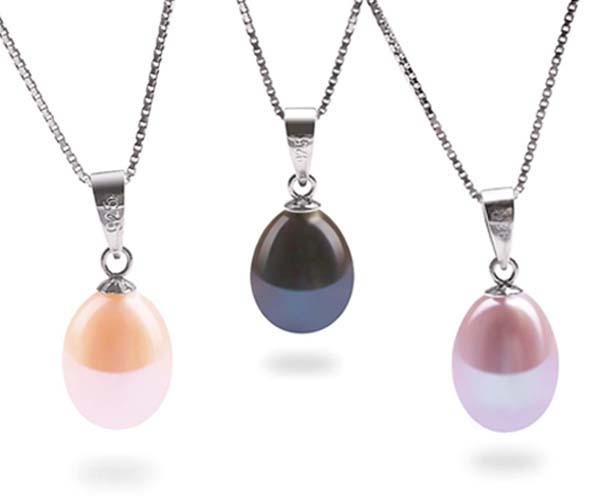 Several colors of pearls are available: chocolate, white, pink, lavender, black, light green, and cranberry. 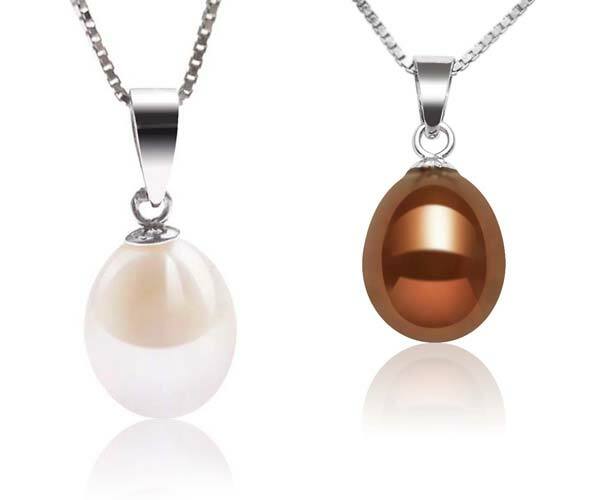 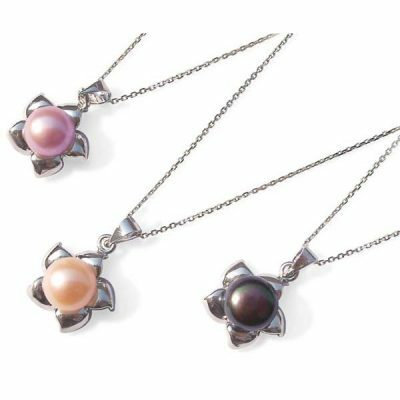 If you are looking for a similar pearl pendant set in 14k yellow or white gold, we also have it available on sale now! 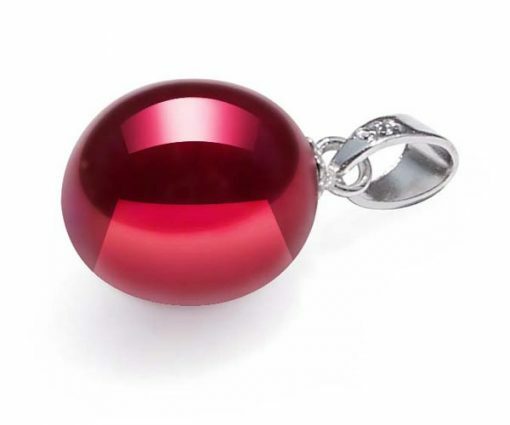 Just type product number “#ZNP0010028” in the search box, you will find it right away. 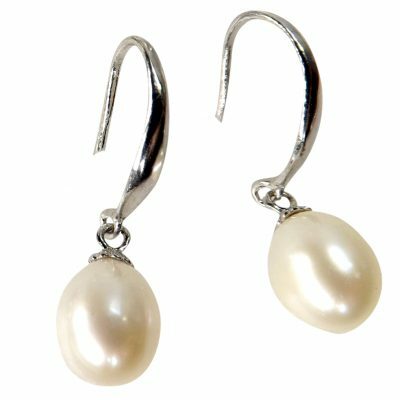 Get a pair of pearl drop earrings to go it together to be complete set. Shop now for the best selection!